$3.50 Worldwide flat-rate shipping cost for entire delivery of Track Notes. Full track break-down using the principles taught in the Science of Speed Series. A self-guided, low-cost alternative or supplement to our track coaching services. 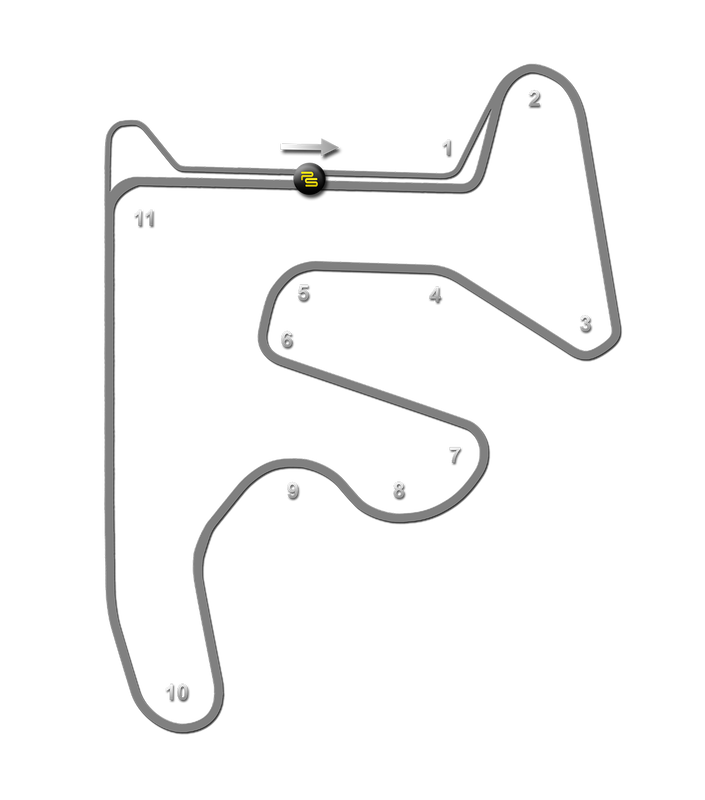 ​GingerMan Raceway was established in 1995 at South Haven, Michigan, by racing enthusiast Dan Schnitta, who was keen to create best the type of experience for both racers and visitors, after having less-than-perfect experiences elsewhere. Schnitta is a long time club racer from Chicago, where he owns the Ginger Man Tavern (after which the track is named) near Wrigley Field. The circuit is situated in over 300 acres of land which include sprawling areas of a shaded wood, plenty of paddock space and a pond fully stocked with fish. The idea, according to Schnitta, is to allow visitors to "feel the comfort of a state park". The circuit also benefits from a location close to other attractions; visitors are just six miles away from the beach, boutiques, events and dining that are common to any beachside community. Construction began in 1995 to a design penned by Alan Wilson (who is something of the go-to designer for facilities of this type). The intention was to create a club racing-level course with clear runoffs and wide, smooth paving to avoid costly vehicle damage, especially for newer drivers. The design has won plaudits, including a Safe Track Award from the vintage and historic racing publication, Victory Lane Magazine. "Recreational racers cannot afford to repair their cars after minor mistakes, so we have provided wide open run-off areas that are as smooth as a golf course fairway," explains Wilson. "We have also tried to build a track that will encourage close competition, so have included at least four major overtaking points. There is also a very technical section (from Turns 7 through 10) that will allow a well driven smaller car to match a more powerful vehicle's overall lap times, providing for exciting racing." The 11-turn, 36-ft. wide track has a range of different corners and gradients - around 40 ft. of change from the track's highest to lowest points. The track's original asphalt surface was specifically designed for racing by the Koch Material Handling Company, whose StyrElf polymer has been used to prevent breakup problems that have plagued many other facilities. At the same time, it was intended to be relatively high grip without inducing huge tire wear - an important factor for club racers on tight budgets. Spectators are also well catered for. The whole track can be seen from the central spectator hill between turns 3 and 7. The other major viewing areas are at Turn 1 and 2 and at Turn 11, all of which allow fans to see several corners and straights. There are also extensive on-site parking, camping and RV areas. The facility was finished in October 1995 and opened for general testing, ahead of its first full season of racing in 1996, mainly SCCA car racing and club-level motorbike races. In 2010 the first major modification was made to the circuit, with a new extension at Turn 10, bringing the course to 2.21 miles. Safety runoff areas were also configured to allow for reverse-direction running, meaning that with the original layout and the circuit extension, four course variants are now possible. In January 2014, raceway management contacted asphalt paving specialists to evaluate the track. While the track pavement was intact, there were 1 1⁄2-inch cracks that had been filled with rubber crack seal. The decision was taken to repave the entire facility in time for the 2015 '20th anniversary' season, with the smooth new surface soon giving rise to faster lap speeds.